The Woodlands Cemetery currently has over 32,000 interments on 54 acres of land. While the story of every individual resting here at The Woodlands is unique and fascinating, below are biographies of some of our more famous residents. Be sure to look back in the coming months as this section is expanded with more information, including biographies created by juniors in the AP US History course at the J.R. Masterman School. If you're looking for a particular individual with an interesting past or notable career, we may already have a short biography or blog post written about them. Feel free to search! This life-long soldier was a decorated Civil War Brigadier General. In 1822, Abercrombie graduated from the U.S. Military Academy. His service in the south, northwest, and Mexico led to his promotion up the ranks, until he was made full colonel at the start of the Civil War. In 1861, he was appointed Brigadier General of Volunteers, serving in field command at Falling Waters, Seven Pines and other Virginia battle sites. As younger officers increasingly gained command in the field, Abercrombie's work turned to command of depots around Fredericksburg and the White House. He retired from active service in 1865. Although few today know of Arthur's literary career, he was a very popular author during his lifetime and was particularly known for moralizing tales of temperance. Despite little formal education, by 1833 he had become co-editor of the magazine Baltimore Athenaeum, which launched Arthur's literary career. He contributed short stories and verses to other magazines, including Godey's Lady's Book, Saturday Carrier, and Graham's Magazine. Arthur moved to Philadelphia in 1841 and established and edited several magazines of his own, including the popular Arthur's Home Gazette, which he edited until his death. He wrote over 150 novels with themes of moral reformation, of which his most famous was Ten Nights in a Bar Room and What I Saw There, published in 1854. As a geologist, Ashburner was instrumental in surveying the natural resources of Pennsylvania that would contribute to the state's position as an industrial center on the East Coast. 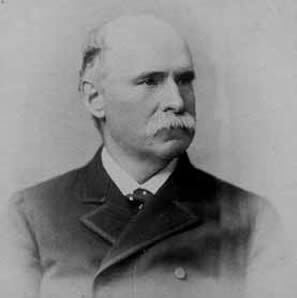 Ashburner received an undergraduate degree in civil engineering from the University of Pennsylvania and established the Engineers' Club of Philadelphia in 1873. After graduation, his mentor J.P. Lesley, a professor of geology, persuaded him to give up engineering for a career in geology. Ashburner began working on the Second Geological Survey of Pennsylvania under Lesley, launching his career in the field. He would go on to complete numerous surveys of the coal, iron, and oil resources in the state. He was a member of the American Philosophical Society and the Franklin Institute. After a severe illness in 1889, Ashburner died suddenly at the age of 36. This prominent surgeon and professor began his life as a child prodigy, becoming a skillful pianist and fluent in Greek and Latin. He received a B.A. from the University of Pennsylvania in 1857 and graduated from the Medical School in 1860. Ashhurst worked first as a physician at the Pennsylvania Hospital and then as an assistant surgeon during the Civil War. Upon his return to Philadelphia, he was appointed professor of clinical surgery at his alma mater and established affiliations with other city hospitals. "The Grange," his Gothic Revival residence with out buildings on a nine-acre site in Haverford Township, is now a house museum. This statesman was an important figure in the Japanese democratic movement of the 19th century. Baba was educated at Yukichi Fukuzawa's private school (later Keio University) and received a degree from Temple Law School in England. When he returned to Japan in 1878, he embarked on a political career, which included founding the Kokuyukai Society and becoming a leader in the Jiyuto, or Liberal, Party with Taisuke Itagaki. Baba eventually left the party, but by that time he had been labeled a radical and was forbidden to speak publicly. In 1885, he was arrested on a charge of illegally purchasing explosives and spent several months in detention. When he was acquitted in 1886, he moved to the United States, eventually settling in Philadelphia. Baba continued his political activism, publishing a pamphlet in 1888 entitled "The Political Condition of Japan, showing the Despotism and Incompetency of the Cabinet and the Aims of the Popular Parties." He died that same year in Philadelphia. The work of this civil engineer included lighthouses and breakwaters along the east and west coasts of America. Bache, who was a great-grandson of Benjamin Franklin, graduated from West Point in 1818 and began serving in the Corps of Engineers. He worked for 47 years on topographical surveys and numerous engineering projects, including the Brandywine Breakwater in Delaware Bay and lighthouses for the Pacific Coast. In 1865, he was promoted to Brevet Brigadier General, the highest grade in the Corps of Engineers, for his service during the Civil War. Much of Jane Piper's career as a modernist still-life painter was spent working and teaching in Philadelphia. She studied at the Pennsylvania Academy of Fine Arts and at the Barnes Foundation. The Barnes' collection of French painters, including Cezanne and Matisse, inspired her paintings throughout her life. Her first solo exhibition was in Philadelphia in 1943, and she went on to hold 40 more in the United States. She taught from the mid-1950s until l985 at the Philadelphia Museum of Art and at the Philadelphia College of Art (later called the University of the Arts). Her paintings are particularly noted for the signature use of white in relation to broad strokes of vibrant color. Piper was married to the Penn sociology professor and noted author E. Digby Baltzell. Bankson was a life-long naval officer and engineer. After graduating from the University of Pennsylvania in 1877, Bankson began training as an engineer at the U.S. Naval Academy. He graduated as a cadet-engineer in 1881 and moved to France to continue his education at the Ecole d'application du Génie Maritime. After his graduation in 1890, he served on naval assignments in European and South American waters. He worked for a number of years at Cramp's Shipyard in Philadelphia as a constructor for the U.S. Navy. He retired as Commodore in 1921, after nearly 45 years of service. This Lieutenant Colonel commanded African-American Union troops during the Civil War and ultimately lost his leg at the Battle of Petersburg. The founder of Grand Army Post, Lot #5, he also wrote the "History of the Grand Army of the Republic" and served as the Commander-in-Chief of the Grand Army and Union Veterans' Organization. Beath became the youngest man ever elected on a State ticket in Pennsylvania when he was elected Surveyor-General of the Commonwealth at age 33. An author, explorer, and amateur boxer, Biddle Sr. was the son of two prominent Philadelphia families, the Drexels and the Biddles. These families' large fortunes provided Biddle with a comfortable childhood and an excellent education in Europe. When he returned to Philadelphia in 1891, he became a reporter for the Philadelphia Public Ledger, writing articles related to sporting events in the city. Biddle was particularly proud of his reputation as an athlete and as one of the best amateur boxers in Philadelphia. He frequently invited professional boxers to his house for boxing matches followed by dinner with the family. When he joined the Marine Corps as a captain in 1917, he convinced Headquarters to make boxing a part of the new recruits' training. He also traveled widely and wrote articles about his adventures for numerous magazines. Biddle's published books reflect his eclectic tastes. Do or Die (1937) is a handbook on combat methods; The Froggy Fairy Book (1896) is an illustrated set of fairytales, and The Madeira Islands (1896) is a guidebook and history of Biddle's travels to the islands. 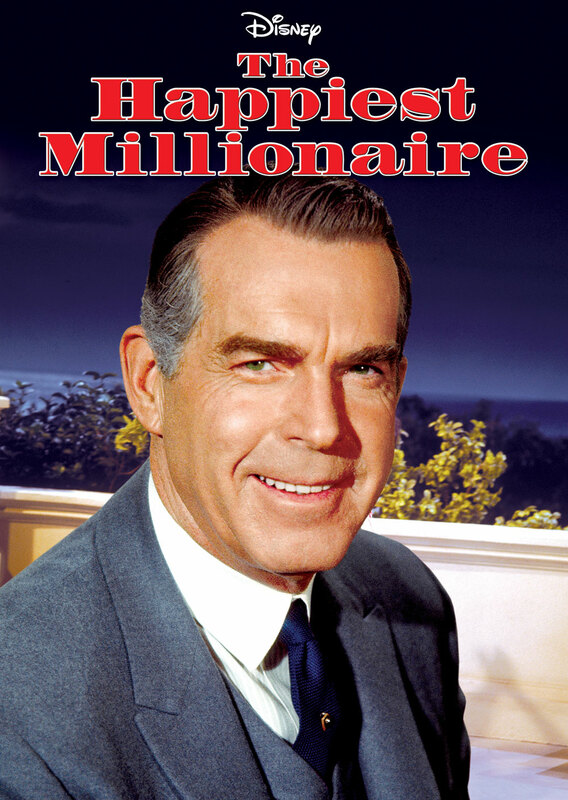 The Disney musical The Happiest Millionaire (1967) is based on Biddle's life, with Fred MacMurray cast in the lead role. The son of Anthony Joseph Drexel Biddle became known for his army service and as an influential diplomat. Biddle, Jr. enlisted in the U.S. Army and served in Europe during World War I, eventually being promoted from private to captain. His diplomatic career began in 1935, when President Roosevelt appointed him U.S. Ambassador to Norway. He held the same position in Poland two years later. When Germany invaded Poland in 1939, Biddle became the ambassador to the exiled Polish government in France and deputy ambassador to France. With the German invasion of France, he moved to London and became ambassador to the governments in exile of Belgium, the Netherlands, Norway, Yugoslavia, Czechoslovakia, Greece, Luxembourg, and Poland in 1941. He retired from diplomatic service three years later to rejoin the army. He was promoted to brigadier general and became chief of the European Allied Contact Section. His work was essential to coordinating the Allied war effort following the invasion of Normandy in 1944. Biddle served in the army until he was appointed U.S. Ambassador to Spain by President Kennedy in 1961. David Bell Birney was a successful Philadelphia lawyer, but also the son of the ardent abolitionist James G. Birney. David Birney anticipated the outbreak of the Civil War and actively prepared to volunteer for the Union forces by studying military subjects in 1860 before the war began. This lead to his appointment as lieutenant-colonel of a regiment in the Pennsylvania militia. At the start of the Civil War, Birney's regiment became the 23rd Regiment of Pennsylvania Volunteers. By 1862, he had been promoted to brigadier general of volunteers and participated in operations of the Army of the Potomac. Two years later, Birney contracted malaria and was forced to return to Philadelphia, where he died on October 18, 1864. His enduring words were, "Boys, keep your eyes on that flag!" In 1829, 187 acres of land from William Hamilton's estate were sold to the city of Philadelphia for the development of an almshouse, a 19th century charity hospital for Philadelphia's poor. 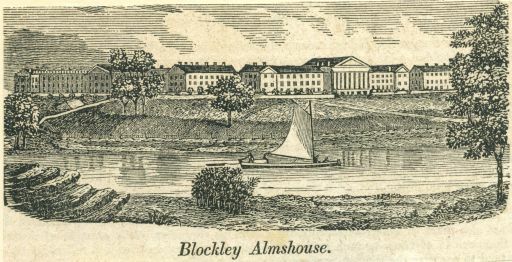 The large institution on the banks of the Schuylkill River above Hamilton's mansion was named Blockley Almshouse (after Blockley Township, which later became West Philadelphia). The neighboring land of 92 acres became Woodlands Cemetery in 1840. In 2001, during the construction of a parking garage at the south end of Convention Avenue for the University of Pennsylvania's medical campus, workers discovered several coffins containing human remains. Archaeologists were brought in to investigate, and they learned the garage site had served as a cemetery for Blockley Almshouse. Excavations revealed 437 individual burials plus 11 mass interments containing autopsied remains used to train Blockley's medical staff. At the completion of the research and excavations the remains were reburied in The Woodlands Cemetery. Learn more about the excavation discoveries here. This Brevet Lieutenant Colonel is one of two Civil War Medal of Honor recipients buried at The Woodlands, the other being Thomas A. Cripps. Bonnaffon was serving in the 99th Regiment of the Pennsylvania Infantry when he participated in the fight against Confederate forces at the Boydton Plank Road, Virginia, on October 27, 1864. He was seriously wounded and was awarded the Medal of Honor for his bravery that day. His citation reads, "Checked the rout and rallied the troops of his command in the face of a terrible fire of musketry." This author and journalist was one of the first American female correspondents to work abroad. Brewster began her career by writing poetry as a young woman. Despite her brother's disapproval, she started publishing short stories under the pseudonym Enna Duval in 1845. Throughout her career, she published over 50 of these stories, which encouraged women to become economically independent through hard work, morality, and social responsibility. Brewster never married, and after her parents' death, she became estranged from her brother over the control of her inheritance. Starting in 1857, she spent 15 months in Switzerland and Italy, and when she returned to the U.S., she supported herself by writing and teaching music and French. In the 1860s, she abandoned her pseudonym and published two novels based on her experiences traveling around Europe. Brewster moved to Rome in 1868 and began writing for the Philadelphia Evening Bulletin and the Newark Courier. For the following 19 years, she wrote articles on political, religious, artistic, and scientific events in Rome for 12 American papers including the New York World and the Chicago Daily News. She also established a weekly salon attended by artists, musicians, and writers, including Frank Liszt and Sarah Jane Lippincott. She died in Siena, Italy in 1892. This physician was the first curator of the U.S. Army Medical Museum (now the National Museum of Health and Medicine) and an influential surgeon during the Civil War. 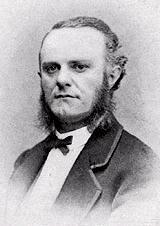 After Brinton received his medical degree from Jefferson Medical College in 1853, he worked as the chair of surgery at the University of Pennsylvania until 1861. At the beginning of the Civil War, Lincoln requested that Brinton serve as a brigadier surgeon of volunteers. He saw action in the battles of Fort Donaldson, Fort Henry, and Shiloh. In the summer of 1862, Brinton began working in the office of the surgeon general in Washington, D.C., where he was asked to prepare The Surgical History of the Rebellion. This collection of surgical specimens from field surgeons during the war became the foundation of the U.S. Army Medical Museum. He was also a pioneer in the use of photography in medicine, recognizing the superior accuracy of photographed wounds to artist drawings for the purposes of teaching. This work led Brinton to become a leading authority on gunshot wounds. After the Civil War, he returned to Philadelphia's Jefferson Medical College and also chaired the committee on the Mutter Museum at the College of Physicians. William Bucknell grew up in Marcus Hook and learned the wood carving trade in Philadelphia. He carefully saved his earnings and invested in real estate, railroads, and the construction of utilities in growing East Coast cities. His keen business sense helped him become a very wealthy businessman and a generous philanthropist. 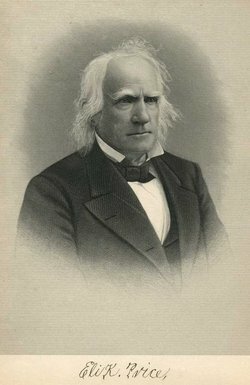 He regularly tithed ten percent of his wealth to religious and educational institutions and was a charter donor to fund the establishment of the University of Lewisburg in central Pennsylvania in 1846. In 1881 when the institution was in a critical financial state, Bucknell supported their needs with a contribution of $50,000. Subsequent gifts that helped improve the university's facilities caused the board of trustees to rename the institution Bucknell University in 1886 in his honor. William Bullitt's extensive experience with European politics made him an important U.S. diplomat. After working at the State Department, Bullitt began his diplomatic career as a member of the U.S. World War I peace delegation in Paris. In 1919, he led a secret mission to negotiate the end of the civil war in the Soviet Union. Although he met with Lenin, the terms of the negotiation were bogged down by political wrangling between European heads of state. In the 1920s, he developed a friendship with Sigmund Freud, and in 1931, Bullitt completed Thomas Woodrow Wilson: 28th President, a Psychological Study in consultation with Freud. His controversial characterization of Wilson led Bullitt's friends to convince him to delay publication until 1967. Bullitt was also a supporter and friend of Franklin Delano Roosevelt, and he was instrumental in opening formal diplomatic relations between the Soviet Union and the United States under Roosevelt's administration. Bullitt was immediately appointed ambassador to the Soviet Union in 1933. He also became ambassador to France in 1936, a post which he left in 1940 upon the German invasion of the country. During World War II, Bullitt increasingly disagreed with Roosevelt's foreign policy and left the U.S. to fight with the French Free Forces where he participated in the liberation of Paris. After WWII, he retired from diplomatic service and spent much of his time living in France. Anne Moen Bullitt, the daughter of William Bullitt and Louise Bryant, was born in Paris in 1924 and spent much of her childhood traveling with her father on his diplomatic missions. As a Philadelphia socialite, she gathered an extensive collection of vintage haute couture and a succession of four husbands. One husband helped launch her into a horse racing career. Eventually she became the first woman breeder and trainer of thoroughbred horses in Ireland, where she lived for more than forty years at Palmerston, a 700-acre estate purchased by her father. In 1869 Joseph Campbell bought half of Abraham Anderson's canning factory in Camden, New Jersey. The business produced a variety of canned goods, including soups, but the owners argued over the growth of the company. Campbell bought out Anderson's shares in 1876 and sought new partners to expand the company. By 1882, he had renamed the business the Joseph Campbell Preserving Company, thus establishing the Campbell name in the food industry. He acquired three new partners, including Arthur Dorrance. Dorrance's nephew, John T. Dorrance, invented the process for removing water from the canned soups. The condensed soup business allowed the company to ship and sell the soups at much lower prices than their competitors. The company was renamed Campbell Soup under Dorrance's ownership in 1922 and thrives today in many areas of the food industry. 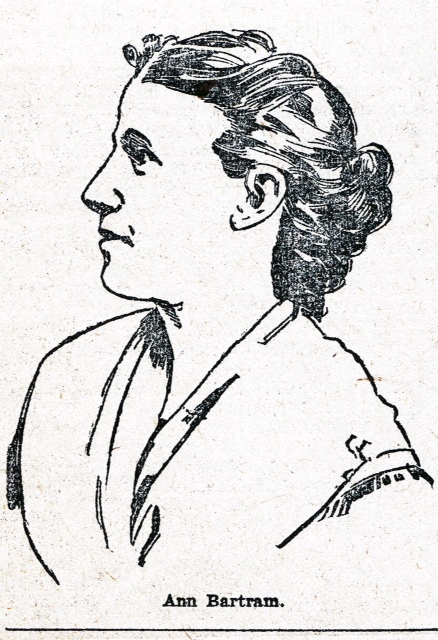 Possible portrait of Ann Bartram Carr, used for a newspaper article in the Philadelphia Press, May 3, 1896. This portrait of Col. Robert Carr is a wood engraving (taken from a photograph) from Benson J. Lossing, The Pictorial Field-Book of the War of 1812 (Harper & Brothers, Publishers, New York: 1869, p. 640). This granddaughter of John Bartram was an accomplished botanist and artist. Scottish horticulturalist Alexander Gordon wrote of Ann Carr that "her knowledge of American plants is most extensive, not surpassed, if equaled, by any one in the United States." Ann, with her husband Robert Carr (1778-1866), owned and operated Bartram's Garden from 1813 to 1850. They introduced the poinsettia to the gardening world in 1829. Robert Carr was a prominent printer, with projects including Alexander Wilson's American Ornithology. He also served as an Army officer during the War of 1812. In 1850, after bitter financial difficulties, the Carrs were forced to sell their garden property at public auction, where it was purchased by Andrew M. Eastwick. Bartram's Garden today is a city-owned historic site on the banks of the Schuylkill River about 15 blocks south of The Woodlands. This physician was an early advocate of vaccination and an important member of the Philadelphia medical community. Although Coxe spent much of his youth in England, he returned to Philadelphia in 1790 to take up the study of medicine under Dr. Benjamin Rush at the University of Pennsylvania. In 1796, he set up a prosperous private practice, but soon gave up this work to serve as a physician at the Bush Hill Hospital during the yellow fever epidemic of 1797. Coxe strongly supported the practice of vaccination and inoculated himself and his son against smallpox in 1801. He was the first to do this in Philadelphia. From 1809 to 1819, he worked as a professor of chemistry at the University of Pennsylvania. He then became the chair of materia medica and pharmacy in the medical department, where his lectures on pharmacology greatly influenced the training of apothecaries. During his lifetime, he established an important library of medical texts. Upon Coxe's death in 1864, another important Philadelphia physician, Dr. Samuel Gross, bought many of these books for his own collection. Daguerreotype of Elliott Cresson taken by Robert Cornelius in 1840. After this businessman from a prominent Quaker family established his wealth through a lucrative business partnership in the mercantile company of Cresson, Wistar & Company, he spent the rest of his life giving his fortune away to philanthropic causes. Cresson particularly supported creating a colony in Liberia for former slaves, and he gave several gifts to foundations to buy land at Bassa Cove, Liberia for this colony. He also made donations to local institutions: the University of Pennsylvania to endow a fine arts professorship; the City of Philadelphia to plant trees, and to the Franklin Institute to create the Elliott Cresson medal for discoveries in the arts and sciences. In addition to this generosity during his lifetime, Cresson left over $125,000 to Philadelphia charities at his death in 1854. Born and educated in France, Cret became one of the most influential Philadelphia architects of the Beaux-Arts tradition after he was encouraged to take a teaching position in architecture at the University of Pennsylvania in 1903. In 1907 he established his own architectural firm. When World War I broke out, Cret was in France. He enlisted in the French army and fought there for the duration of the war, earning the Croix de Guerre and named to the Legion of Honor. He designed a war memorial at the request of Mrs. Theodore Roosevelt for their son Quentin, which involved him in the American Battle Monuments Commission and resulted in many designs. Cret returned to his architecture position at Penn after WWI and lived on Woodland Terrace across from The Woodlands. Within his private practice he assisted with campus planning for Brown University, the University of Pennsylvania, and the University of Texas at Austin. In Philadelphia, he is best known for designing the 34th Street Bridge, the Benjamin Franklin Bridge, the Rodin Museum, aspects of the Benjamin Franklin Parkway, and the gatehouses of The Woodlands Cemetery. Cret received honorary degrees from Brown University, Harvard University, and the University of Pennsylvania. His partners continued his firm after his death, which has become known as H2L2 and celebrated its 100th year in 2007. This Quartermaster in the U.S. Navy was awarded the Medal of Honor for his bravery during the Civil War. He is one of two recipients of this medal interred at Woodlands Cemetery, the other being Sylvester Bonnafon. Cripps manned a gun on the U.S.S. Richmond during action at Mobile Bay, Alabama, on August 5, 1864. His citation for the Medal of Honor reads, "Despite damage to his ship and the loss of several men on board as enemy fire raked her decks, Cripps fought his gun with skill and courage throughout a furious two-hour battle which resulted in the surrender of the rebel ram Tennessee [a Confederate warship] and the successful attack on Fort Morgan." This pioneering cardiologist was influential in developing a systematic method for diagnosing patients. 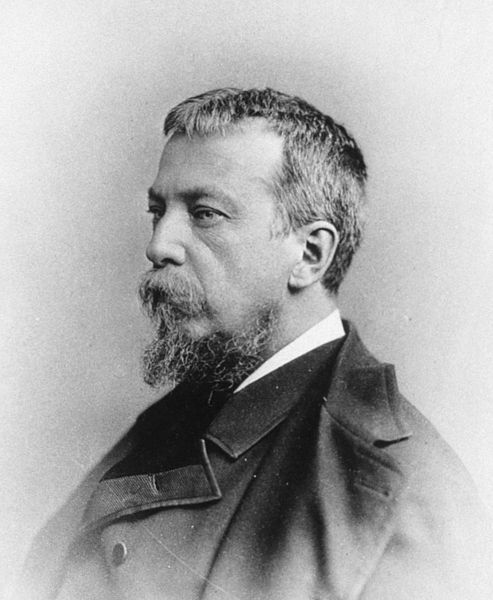 After receiving a medical degree from Jefferson Medical College, Da Costa served as an assistant surgeon during the Civil War, where he completed one of the earliest studies of anxiety disorder among soldiers, originally called "Irritable Heart" or "Da Costa's syndrome." After the Civil War, Da Costa taught at the Pennsylvania Hospital and at Jefferson Medical College in Philadelphia. His Medical Diagnosis (1864) was the first complete guide to diagnoses to be published in the United States. This influential work went through nine editions in his lifetime. After his retirement, he directed his attention to the reform of medical education and served as a trustee of the University of Pennsylvania. Da Costa was an important Philadelphia physician, who was particularly known for his skill as a teacher of surgery. He began studying chemistry at the University of Pennsylvania at the age of fifteen, but after two years transferred to Jefferson Medical College. He graduated as valedictorian in 1885 and immediately began practicing medicine. Two years later he returned to Jefferson as assistant in the surgical outpatient department and as assistant demonstrator of anatomy. He became chair of the Department of Surgery in 1907. Da Costa was also made an Honorary Deputy Chief of the Philadelphia Fire Department in recognition of his service to wounded firemen as a surgeon for the Firemen's Pension Fund. During his 40-year career, he was well-known for his pithy sayings, such as "A fashionable surgeon, like a pelican, can be recognized by the size of his bill." In 1838, Dreer started a nursery in Hamilton's greenhouse at The Woodlands and established a successful gardening store on Chestnut Street. By 1873, Dreer's business had expanded to such an extent that he needed more nursery space. He bought 115 acres of land along the Delaware River in Riverton, New Jersey, for a new nursery. The business eventually expanded to 295 acres with a water garden and 14 greenhouses with palms, ferns, bamboo, irises, and hybrid waterlilies. Dreer's son, William, continued to run the business after his father's death. Francis Martin Drexel became a titan of international finance, but was born in Austria's Tyrol region and began his career as an artist. At the age of 25, Drexel immigrated to America in the pursuit of greater artistic opportunity. Shortly after his arrival in Philadelphia, Drexel's paintings were exhibited at the Pennsylvania Academy of the Fine Arts. He travelled to South America, where he painted portraits of Bolivar and other leaders of newly independent republics. Drexel's experiences in South America and his fluency in German and Spanish eventually drew him into the world of international banking. 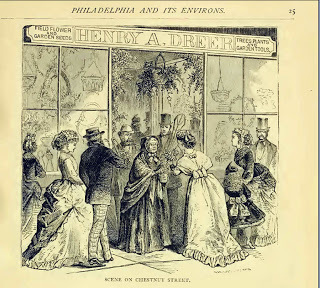 In 1838, he opened the Drexel Bank on South Third Street in Philadelphia. This bank helped to finance the Mexican-American War by floating $49 million in war loans in 1846. Drexel trained two of his sons (Francis A. and Anthony J.) in the ways of banking, and the two eventually took the helm of Drexel and Company. Anthony J. Drexel expanded the Drexel financial empire after his father's death and is noted as a philanthropist, prominent Union League member, advisor to President Grant, and founder of Drexel University. 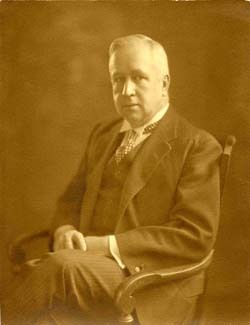 As a descendant of the Drexel banking empire and son of Anthony J. Drexel, George Washington Childs Drexel could have continued the family tradition with a career in finance. Instead, he became a publisher and editor of the Philadelphia Public Ledger at age 26. In choosing this career, he followed in the footsteps of his namesake, George Washington Childs, a publisher of the newspaper and a close friend to his father. Drexel was particularly intrigued with the mechanical equipment used to print the newspaper and he made significant improvements to the design and printing of the Public Ledger during his tenure as publisher. He also served as a trustee of Drexel University for nearly 50 years and donated generously to the school his father founded. He traveled widely, including on a hunting expedition in East Africa and on frequent yachting trips around the world. George and Mary Drexel were bequeathed the grand Victorian residence of George Childs in Bryn Mawr, called "Wootten" where they lived until the 1940s. The Childs/Drexel home now serves as St. Aloysius Academy, a Catholic elementary school for boys. William Duncan moved to Philadelphia from Abbottstown, PA, and became a successful merchant of hardware as well as a landowner through mentoring and advice of a family friend, Robert Morris (financier of the American Revolution). Under President James Madison, Duncan was commissioned as a general during the War of 1812 and named Deputy Superintendent of Military Stores at the Philadelphia Arsenal. He also held the rank of brigadier general for the Pennsylvania Militia. Following the war he established the first brass works factory in America in Bristol, PA, became a member of the Pennsylvania Legislature, and was an active founder of Thomas Jefferson University Hospital in 1827. He served as a trustee of that institution for nearly forty years. He married three times, first to Polly Moulder, then to her younger sister Sarah Moulder. Together they bore him ten children. In 1841 he married a widow, Anna Claypoole Peale Staughton, daughter of artist James Peale and cousin of Rembrandt Peale (also buried at The Woodlands). Duncan's grandson, Joseph Charles Duncan (d. 1898), was the father of Isadora Duncan, a dancer who founded the modern dance movement. The work of this painter includes portraits of many wealthy families from New York, New Jersey, Maryland, and Pennsylvania from the first half of the 19th century. Eddy's father taught him copper engraving at age fifteen as part of the family printing business. The engravings he completed before he turned twenty are his earliest known works. Little is known about his training as a painter, but we do know that he moved to New York City in 1826 to work as a portraitist and miniaturist. There he gained prominence as an artist. 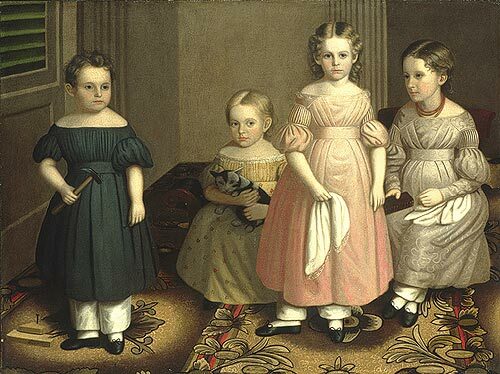 In the 1830s he moved to New Jersey, where he continued to paint portraits, particularly of the children of wealthy families. In 1841 he moved to Baltimore. While continuing to paint, Eddy also invented a precursor to the typewriter. In 1850 he moved to Philadelphia, where he remained until his death in 1868. This Civil War soldier served in the 23rd Regiment of Pennsylvania Volunteers with David Bell Birney. He participated in the operations of the Army of the Potomac and was severely wounded at the battle of Fair Oaks, Virginia. For his service as commander of the 23rd Regiment, he was promoted to Brigadier General and then to Major General in 1865. Evans began his dental career in Philadelphia and pioneered the use of gold as cavity fillings. He exhibited his achievements at the Franklin Institute and received the first gold medal issued for such work. Evans' other dental accomplishments include introducing nitrous oxide as an anesthetic to Europe and the first use of vulcanite rubber as a base for dentures. Evans moved to Paris in 1848, and became dentist and confidante to Napoleon III and various other members of European royal families. His patients enlisted Evans' talents in areas ranging from royal match-making to transmitting unofficial correspondence between kings. In fact, Evans assumed an active role in European deliberations on the American Civil War and is considered to have been "largely responsible for convincing Napoleon III not to recognize the Confederacy." Evans also clothed the Army of the Potomac during the first winter of the Civil War. In Europe, he introduced the American ambulance to the French Army - a significant contribution to the French effort in the Franco-Prussian War. Meanwhile, Evans' Parisian real estate investments made him fabulously wealthy. When the Second Empire fell, he saved the French Empress Eugénie from angry Parisian mobs, smuggling her by carriage to England. Evans was married to Agnes Doyle, the daughter of John Doyle (Philadelphia). Agnes died in Paris, but Evans brought her back to Philadelphia for burial in The Woodlands Cemetery. At his death in 1897, Evans' left his estate to the University of Pennsylvania to found a Dental School and funds for a 90-foot granite obelisk to mark the Evans family tomb. The monument was designed by the Wilson Brothers of Philadelphia, but not completed until 1917. It has been classified as the tallest funerary monument in America. Eyre's work as an prominent American architect continues to mark Philadelphia's landscape today. Eyre spent his early childhood in Italy, but returned to the United States at age eleven. 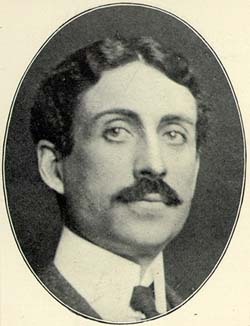 As a young man, he completed one year of study at MIT and by 1877, he was working in the architecture firm of James Peacock Sims. At Sims' death in 1882, Eyre began practicing independently. It was not until 1911 that he formed another partnership, this time with John Gilbert McIlvaine. Much of Eyre's work was influenced by English residential architecture and he is best known for his numerous private house designs, including many in the Rittenhouse Square neighborhood. He also collaborated with other architects on the Benjamin Franklin Parkway (1900-1902) and the University of Pennsylvania Museum (1893). He served as a professor in the Department of Architecture at the University of Pennsylvania from 1890-94. House & Garden Magazine, which he founded and edited, served as a forum for the residential designs of the Philadelphia architectural community. 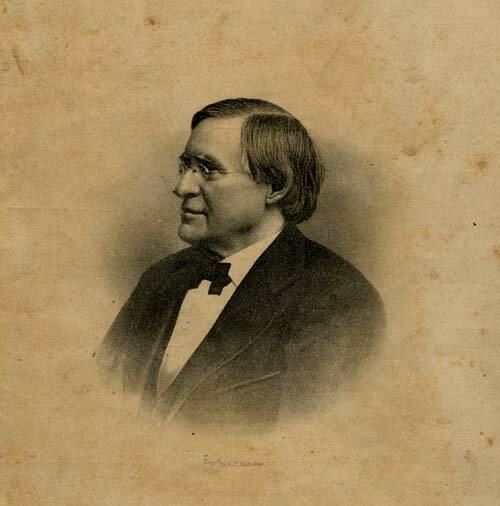 A celebrated educator, Dr. Faires was an 1831 graduate of the University of Pennsylvania where he finished at the top of his class and was a member of both the Philomathean Society and Phi Beta Kappa fraternity. From the University he would also receive his Master of Arts in 1832 and an honorary Doctor of Divinity in 1861. From 1831 to 1837 he was a teacher at the Pennsylvania Institute for the Deaf & Dumb. In 1837 he left the school to open The Classical Institute, a preparatory school for boys. 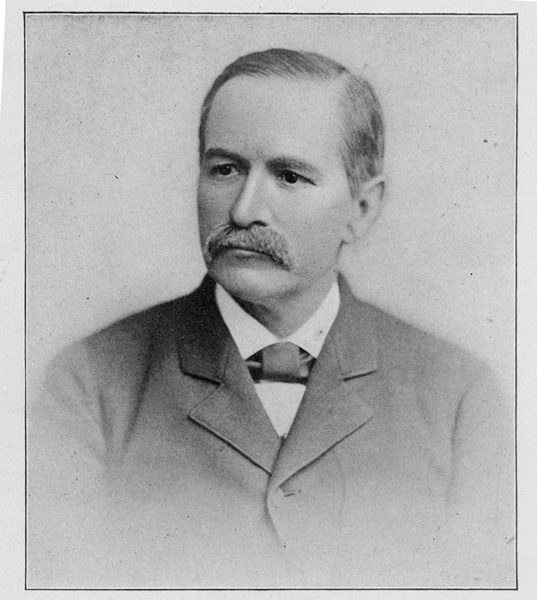 From then until his retirement in 1888, Dr. Faires taught over 1500 students, compiling a roster of names synonymous with power, politics, religion, and prestige, including Atwood, Biddle, Cadwalader, Chew, Drinker, Hutchinson, McIlvaine, Morris, Ormsby, Pepper, Physick, Stotesbury, Swain, Van Pelt, Wanamaker, Wharton, and Wister. The school operated at four different locations before settling in at 238 Dean (later Camac) Street in 1854, which Faires had built for his school. After his retirement he went on to become a celebrated Presbyterian preacher. He died at his home, 245 S. 13th Street in 1901. In later years the school building became the Philadelphia studios for celebrated photographer William H. Rau. Felton was a railroad manager who became famous for preventing an assassination attempt against President-elect Lincoln in 1861. After putting himself through Harvard, Felton embarked on a career in engineering. Felton worked initially at several railroads in Boston. In 1851, he moved to Philadelphia to take over the presidency of the Philadelphia, Wilmington & Baltimore Railroad. Within a few years, he had turned the mismanaged and financially unstable business into one of the most profitable railroads in the country. In 1861, Felton, with the help of an investigator from Chicago named Allan Pinkerton, learned of a plot to assassinate Lincoln by blowing up the railroad during the President's inaugural trip from Philadelphia to Washington, DC. Felton and Pinkerton were able to secret Lincoln into Washington overnight without tipping off the would-be assassins. Felton's work at the railroad also helped to deliver troops and supplies to key sites for the Union Army during the Civil War. Fisher was a nurse who was born in England and moved to Philadelphia in 1884 to found the School of Nursing at the Blockley Almshouse and Hospital. As a young woman she studied at the Nightingale Training School at St. Thomas Hospital in England and then served in several British hospitals before her move to the United States. Once in Philadelphia she undertook the reform of Blockley Almshouse, which later became Philadelphia General Hospital, and is now part of the University of Pennsylvania medical campus. Blockley was the first institution built on land sold from the Hamilton estate, and Fisher established a School of Nursing there to combat the unhealthy, disorderly conditions of the hospital. In the four short years that Fisher worked at Blockley, she transformed the hospital and established a new generation of nurses to care for Philadelphia's citizens. Fisher's legacy continues through the School of Nursing at the University of Pennsylvania. In 1991 Penn's Center for the Study of the History of Nursing installed a memorial to Fisher on her grave. This lawyer was also a prolific author of works on constitutional law, slavery, currency, and agriculture. After being admitted to the bar at the age of twenty, Fisher set up a law practice in Philadelphia. At the same time, he began farming a plantation in Maryland and publishing newspaper articles and pamphlets, largely voicing his views on important political issues of the day. Although he was never very successful as a lawyer or a farmer, Fisher is remembered today for his meticulously detailed diary, which has survived as a rich resource for all facets of Philadelphia history from 1834 to 1871. This Scottish-born architect established a firm with Andrew Palles and was a one-time partner with Frank Furness and George Hewitt. In Philadelphia, he is best known for designing the Union League building on South Broad Street in 1863. He also served as the acting supervising architect during part of the construction of the United States Treasury building in Washington, D.C. Fraser later helped to found the Philadelphia Chapter of the American Institute of Architects. Born and educated in Hartford, Connecticut, Grew came to Philadelphia in 1834. An ardent abolitionist, she worked with Lucretia Mott in the Female Anti-Slavery Society. As a delegate to the World's Anti-Slavery Convention in London in 1840, Grew was excused from the floor for demanding to speak. Grew dedicated herself to the pursuit of women's rights, defying societal norms and her father's wishes. She was President of the Pennsylvania Woman Suffrage Association, and eventually became a Unitarian preacher. John Greenleaf Whittier commemorated her achievements in one of his poems, with the line: "The way to make the world anew is just to grow - a Mary Grew!" Gross was the foremost surgeon in Philadelphia for much of the 19th century. He graduated from Jefferson Medical College in 1828 and moved to Easton, Ohio in 1830 to establish a private practice. During the same period, he taught at the Medical College of Ohio and then at the Louisville Medical Institute. When he returned to Philadelphia in 1856, he was appointed professor of surgery at his alma mater. At Jefferson Medical College he published some of his most influential work, including System of Surgery (1859), which became one of the great surgical treatises of its day, and Manual of Military Surgery (1861), which was the standard operating manual for Civil War surgeons. Gross also founded the American Medical Association and the American Surgical Association while serving at Jefferson. 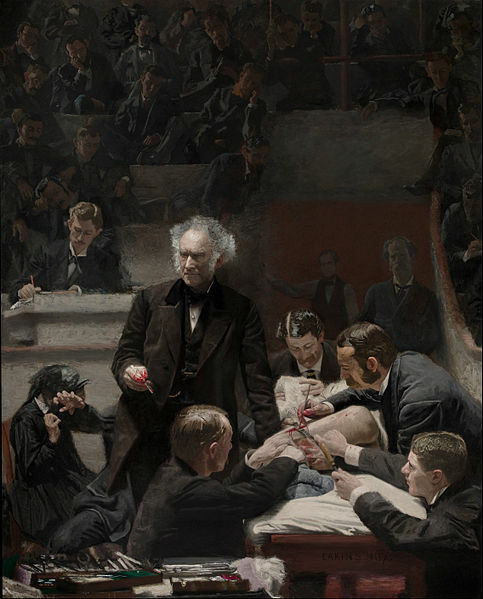 He is depicted as the central figure in Thomas Eakins' painting "The Gross Clinic." One of the most prominent art dealers in the nation, Haseltine handled some of Thomas Eakins' early works. 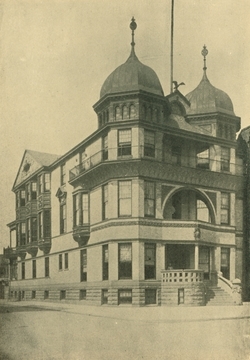 Both "The Gross Clinic" and "The Agnew Clinic" were first exhibited at Haseltine Art Galleries on Chestnut Street. Haseltine was also very active in the community, as a Trustee of the Presbyterian Hospital, a Union League member, and a longtime member of the Second Presbyterian Church at 21st and Walnut Streets. When the Civil War broke out, Haseltine formed the "Keystone Battery," of which he was elected First Lieutenant. His personal interests included painting, travel, and genealogy. Haseltine reportedly collected over 70,000 names in his genealogy of the Haseltine family. Although Hayden studied medicine and occasionally worked as a surgeon, his true passion was geology. As a young man, he became acquainted with the New York state paleontologist, James Hall, who encouraged Hayden to pursue his interest in geology. Hayden completed multiple explorations of the Missouri and Yellowstone Rivers and the Black Hills and began publishing his research on these little-known areas of the United States. During the Civil War, he set aside his interest in geology to work as a surgeon for the Union Army. In 1865, he became a professor of geology at the University of Pennsylvania, and in 1872, he left this post to work for the United States Geological Survey. His work was influential in preserving an area of southern Wyoming, Montana, and Idaho as public land, which later became Yellowstone National Park. Hayden also has 44 different species named after him, ranging from a living moth to an extinct dinosaur. Hayden Hall (the former Dental Hall, later the Fine Arts Building, and now home of the Geology Department and the Engineering School of the University of Pennsylvania) was named in his honor. Eliza Hewitt was a songwriter who penned numerous Christian hymns. As a young woman, Hewitt taught at a Philadelphia public school, but after becoming ill with a spinal condition, she was confined to her bed. As her health improved, she began to write lyrics to songs, including "Sunshine in My Soul" and "Stepping in the Light," and she collaborated with several well-known composers such as John R. Sweney, William J. Kirkpatrick, and B.D. Ackley. Hewitt wrote over 150 hymns throughout her life. Holland grew up in the south and came to Philadelphia to earn his medical degree at Jefferson Medical College in 1868. He then returned to Louisville, Kentucky to practice medicine with his father, who was also a physician. He taught at the University of Louisville, edited the Louisville Medical News, and wrote numerous articles on toxicology and chemistry for national medical journals, all while running an extensive private practice. However, when Jefferson Medical College offered him the chair of toxicology and medical chemistry in 1885, he accepted and returned to Philadelphia. He became dean of the college two years later and dean emeritus in 1912. He is the subject of Thomas Eakins's painting, The Dean's Roll Call, painted in 1899, and was a member of the American Philosophical Society. This self-made man rose from humble origins to ultimately earn his medical degree from the University of Pennsylvania. After spending twelve years as a "country doctor" in New Jersey, Jayne moved his practice to Philadelphia. There he acquired a pharmacy and found a niche developing medicines for worldwide export. As a new millionaire, Jayne undertook the construction of several notable Philadelphia buildings, of which few still stand: the Commonwealth Building, Jayne's Hall, the marble buildings on the Philadelphia Arcade Lot, and the post office building on Dock Street. William Williams Keen was one of the most acclaimed neurosurgeons and medical teachers in the U.S. He graduated from Jefferson Medical College in 1862. During the Civil War, he served as acting assistant surgeon at the Turner's Lane Hospital in Philadelphia with Silas Weir Mitchell, who is also buried at The Woodlands. At the end of the Civil War, Keen set up a private practice in Philadelphia and taught at Jefferson Medical College, the Women's Medical College, and at the Pennsylvania Academy of Fine Arts as a professor of artistic anatomy. He was especially known for his innovation in the surgical treatment of disorders of the nervous system. In 1887, he became one of the first surgeons to successfully remove a brain tumor. He also assisted in the secret operation to remove a tumor from the jaw of President Grover Cleveland in 1893. This surgery was performed on the presidential yacht on a trip between New York and the president's summer house in Cape Cod and was not made public until 1917. Keen's contributions to neurosurgery, as well as his prolific writing, made him one of the most important surgeons of his time. Charles Barton Keen's work as an architect focused on designing country houses in the rapidly growing suburbs of American cities. He graduated from the University of Pennsylvania in 1889 and first worked as a draftsman in the office of the Philadelphia architect Frank Miles Day. After a brief partnership with Frank Mead from 1894 to 1901, he worked independently, designing his own versions of the colonial revival country house. By 1893, Keen was working with R.L. Burton and the Woodmere Land Association on Long Island, New York. He designed Burton's residence, stables, and playhouse, as well as the railroad stations, stores, and other residences for the suburban development created by the Association. In Philadelphia, Keen's work included residences in the new suburban developments of Pelham, Overbrook, Ogontz Park and Glenside. Others are scattered throughout the Main Line. His commissions extended from Maine to Florida. One of his best-known estate complexes is Reynolda, built for R. J. Reynolds, founder of Reynolds Tobacco Company in Winston-Salem, N.C.
Knight began his business career as a grocery clerk, but eventually established the firm of E.C. Knight and Company for wholesale groceries, importing, and sugar refining. Knight's shipping ventures took his empire to Cuba, Chile, California, and the West Indies. In 1895, the Supreme Court Case of U.S. vs. E.C. Knight, Co. established that a near-monopoly in sugar refining was not commerce "in restraint of trade." Knight was also an accomplished inventor. In 1859, he developed the "Knight" sleeping car and a company that he eventually sold to George Pullman. Such cars became known as "Pullman cars." Knight also rose to prominence in the political arena, with involvement in the Republican, American, Whig, and Reform parties and served as director of the Union League. In 1889, Knight declined President Harrison's offer of the Ambassadorship to Russia. Knight's family roots were in New Jersey, where he became an early developer of Collingswood. The town inherited a tract of open land, now Knight Park, as well as an early farmhouse on its edge, the Collings-Knight home. James Barton Longacre, 1855, from the National Portrait Gallery. Longacre was an American engraver who served at the U.S. Mint for 25 years. He began his career as an apprentice to a bookseller where he learned the art of engraving for printed works. In 1834, Longacre and James Herring published a series of biographies of famous Americans called the National Portrait Gallery of Distinguished Americans, which included Longacre's engraved portraits. This publication went through numerous print runs and made Longacre's engraving famous. In 1844, he replaced Christian Gobrecht as chief engraver at the U.S. Mint. His most famous designs for American currency include the Liberty Head for the 1849 gold $1 and $20 and the Indian Head cent. Longacre served at the Mint until his death in 1869. Maury was a surgeon and author whose medical review published important photographs of surgical cases. After graduating from Jefferson Medical College in 1862, he began working at the Philadelphia Hospital. He was commissioned as Acting Assistant Surgeon for the Union Army during the Civil War and served at the South Street General Hospital in Philadelphia. During the same period, Maury worked as a clinical assistant under Dr. Samuel Gross (also interred at The Woodlands) at Jefferson Medical College. In 1865, he became chief surgeon at the Philadelphia Hospital and in 1870 started the Photographic Review of Medicine and Surgery with Louis Duhring. Although the publication only lasted two years, the images were republished in numerous textbooks and journals as fundamental case studies for medical education. Maxwell was a wealthy textile merchant who built an elaborate Gothic Revival mansion in Germantown, which is currently considered Philadelphia's only Victorian house museum. (You can learn more about the house and Maxwell by visiting the Maxwell Mansion's site by clicking here.) He was born in upstate New York and arrived in Philadelphia in his early twenties, where he began working as a salesman. Within two years he had established a partnership with William Bangs, buying wholesale textiles from manufacturers and reselling the cloth to city shopkeepers to make into finished clothing. Maxwell joined the Board of the Mechanics National Bank, founded by artisans and merchants for their use. In 1859 he married Anna Smith, the daughter of a wealthy Quaker family. When Anna's father died that same year, her inheritance provided capital for the expansion of her husband's business and allowed the couple to build an elegant home on the outskirts of the city. The restored Ebenezer Maxwell Mansion in Germantown is open as a house museum. Meigs was a Philadelphia physician who was known for his numerous ties to prestigious medical and scientific institutions in the city. He graduated from Jefferson Medical College in 1851 and worked for a short time in general practice before becoming a professor of physiology at the Franklin Institute. He also served as librarian of the Academy of Natural Sciences of Philadelphia from 1856 to 1859. Most of his published work in physiology and anthropology dates from this period. In 1868, he became a physician at the Pennsylvania Hospital and a professor of medicine at his alma mater. He was particularly known for his physiology lectures at Jefferson, where he continued to teach until his death. His final commencement address to the Jefferson graduating class in 1879 was entirely in iambic pentameter. Mitchell was a physician who also became well-known as a poet and novelist. After graduating from Jefferson Medical College in 1850, he took over his father's medical practice and began writing poetry. During the Civil War, he worked as a surgeon at the Turner's Lane Hospital with William Williams Keen. His first short story, "The Case of George Dedlow," appeared in the Atlantic Monthly in 1866 and dealt with the psychological effects of war on a Union soldier. As Mitchell's medical career advanced, he became a professor at the Philadelphia Polyclinic and College for Graduates in Medicine. He worked for over forty years at the Philadelphia Orthopedic Hospital and Infirmary for Nervous Diseases. Under his direction the Infirmary became a center for the treatment of nervous disorders. Mitchell's contributions to medical publications included over 150 papers on diverse topics in neurology, pharmacology, physiology, and toxicology, including the effects of snake venom and opium on the brain. His fiction consists of historical romances set during the American Revolution and the Civil War. Mitchell frequently used his own experiences of war to write his novels, including Roland Blake which is set in an army hospital in Philadelphia. Mitchell's most famous poem, "Ode on a Lycian Tomb," was written following the death of his daughter, Maria, who is also buried in the family plot. This undertaker, who directed the funerals of Presidents Harrison, Taylor, and John Quincy Adams, was one of the founders of The Woodlands Cemetery. As a young man, Moore learned the cabinet-making trade, which included constructing coffins. He soon recognized that keeping ready-made coffins on hand would be more profitable than constructing coffins one at a time in response to individual deaths. His realization led him to go into business independently, helping to create the profession of undertaker. Over the course of his 58-year career, he directed the funerals of Philadelphia's most prominent citizens. In 1840, Moore became one of the original incorporators of the Woodlands Cemetery Company and served as funeral director for internments at the cemetery. By 1868, Moore had commissioned architect John Kutts to create the Gothic design for a large monument on his intended gravesite. This monument, which includes statues representing Charity and Mercy, among other virtues, was intended as an advertisement for the cemetery and his business. Moore lived for more than a decade after this monument was in place. This Scottish architect immigrated to Philadelphia in 1873, where he joined the architectural firm of Addison Hutton in 1877. His most notable work with the Hutton firm was the Venetian Gothic townhouse at the southwest corner of Walnut and 22nd Streets. After the firm dissolved, Ord became involved with the Scottish architect John McArthur, Jr., in the design and construction of Philadelphia's City Hall. After McArthur's death in 1890, Ord ran the construction project until 1893. He subsequently opened his own practice at 3202 Arch Street. Ord was an active member of the St. Andrews Society, the T-Square Club, and the American Institute of Architects. Otto is notable as the first physician to write a clear description of the pattern of inheritance of hemophilia. He came from a long line of physicians, including his father and grandfather, who both served at Valley Forge Hospital during the Revolution. He graduated with a medical degree from the University of Pennsylvania in 1792, where he was a favorite student of the Philadelphia physician Benjamin Rush. Otto's medical service in Philadelphia was crucial during the yellow fever and cholera epidemics in the late 18th and early 19th centuries. In 1798, he was appointed a physician of the Philadelphia Dispensary and also worked for the Orphan Asylum and the Magdalen Asylum. His paper on the clinical features of hemophilia, published in 1803, traced the history of the disease in the Smith-Sheppard family of New Hampshire. When Benjamin Rush died in 1813, Otto was elected to replace him as staff physician at Pennsylvania Hospital. He held this appointment for the next 22 years. At the end of his career, the City of Philadelphia recognized Otto for his medical services during the yellow fever and cholera epidemics. Otto was the second person to be buried in Woodlands Cemetery. Portrait painter Rembrandt Peale, son of Charles Willson Peale, is renowned for his versatility and talents in the areas of both oil painting and lithography. His lithographic reproduction of his 1795 oil portrait of George Washington was awarded a silver medal by the Franklin Institute in 1827 as the "best specimen of lithography to be executed in the United States." Peale painted many portraits of Washington, of which Washington, the Patriae Pater of 1824 was purchased for the U.S. Capitol in 1834. Peale prepared a popular lecture on "Washington and His Portraits" that was first delivered at Philadelphia's Historical Society of Pennsylvania in 1854. He repeated the talk in communities along the east coast over a period of five years, bringing him many commissions for small-scale replicas of his Washington portraits. Peale also painted portraits of President Jefferson and Dolly Madison, wife of James Madison and other well-known Americans. Peale opened a museum in Baltimore in 1814 that featured exhibits of mastodon fossils and natural history similar to his father's Philadelphia Museum, but he added a gallery of portraits of famous Americans. Pirelli was an opera tenor and composer born in Milan, Italy. After graduating from the Conservatorio di Musica in Milan, he took a position managing an opera house in Amsterdam. When the principal tenor was unable to perform one evening, Pirelli filled his place as Edgardo in the opera Lucia di Lammermoor. Pirelli's performance was a critical and popular success, and he went on to tour several other European cities. He eventually joined the Marti Opera Troupe, which performed in Havana, Boston, and New York. Pirelli made his debut in Philadelphia with this troupe in a performance of Ernani at the Walnut Street Theatre in August, 1847. He spent the next twenty years in Philadelphia, composing several critically acclaimed operas and serving as an instructor for young opera singers. Porter was a naval officer who fought pirates, and his grave in Center Circle with a tall marker topped by a large eagle still remains prominent. He began his career on the seas aboard his father's ship at age 16. Two years later he became a midshipman on the frigate USS Constellation. He was captured at Tripoli in 1803 during the Barbary Wars and was held as a prisoner-of-war for two years. After his release in 1805, Porter was assigned to New Orleans to suppress pirate activity. He captured three ships from Jean Laffite, a well-known pirate in the Gulf of Mexico. During this time he also adopted eight-year old David Farragut, who traveled with him to learn the life of a seaman. Farragut went on to become the first admiral of the U.S. Navy. During the War of 1812, Porter commanded the USS Essex in attacks on British shipping lines in South America. His trip with the Essex around Cape Horn at the start of the war was notable as the first appearance of an American warship and flag in the Pacific Ocean. In 1823 he returned to the Caribbean fighting against piracy. When the commander of the USS Beagle was arrested by the Puerto Rican government for piracy, Porter and his naval force invaded Puerto Rico. The commander was released, but the U.S. Navy court-martialed Porter for pursuing unsanctioned excessive naval action. An appeal brought him a six-month suspension, but in response, Porter resigned and took a post as commander of the Mexican Navy. In 1829, President Andrew Jackson requested his return to the United States and appointed him minister to Turkey, a position he held until his death. Price was a lawyer, real estate law reformer, and prominent civic leader in Philadelphia. In 1822, he was admitted to the bar and began to specialize in real estate law. At the same time, he became involved in reform of the municipal government and was elected to the state senate in 1854. One of his first initiatives in Harrisburg was to secure the passage of the "Consolidation Act" which created the present city of Philadelphia by incorporating much of the city's surrounding territory under one government. Price was also the leading founder of the Woodlands Cemetery, with the intent of protecting the core of the Hamilton estate as open space by converting it to a rural cemetery. He continued his efforts for civic improvement with the establishment of Fairmount Park in 1867. His grandson, Eli Kirk Price, II (1860-1933) was also an important civic leader in Philadelphia. 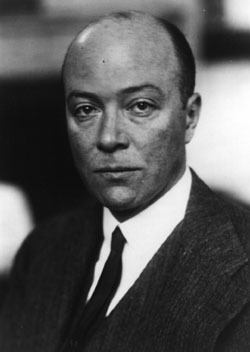 During his years as the president of the Philadelphia Museum of Art from 1926-1933, he supervised the museum's relocation from Memorial Hall to its present location along the Parkway. He also served on the boards of several institutions, including the University of Pennsylvania and The Woodlands Cemetery Company. Today, the Price family continues its long association with The Woodlands. As organist of the Church of the Holy Trinity on Rittenhouse Square, Redner composed the music for the Christmas carol "O Little Town of Bethlehem." Rector Phillips Brooks wrote a poem inspired by his recent trip to the Holy Land and gave it to Redner to create a musical composition for the verses. Redner's carol was sung for the first time on the Sunday before Christmas in 1868. Redner worked as a real estate agent in an office on Walnut Street and during his lifetime served four Philadelphia churches as an organist, but 19 years were devoted to musical activities at Holy Trinity Church. Rothermel was an American historical painter who was well-known throughout his career in Philadelphia. Although he studied engineering and surveying as a young man, he preferred the study of art and started his career as a sign painter in Philadelphia. After attending courses at the Pennsylvania Academy of Fine Arts, he worked as a portrait artist. As his style matured, Rothermel became especially known for historical paintings, including "De Soto Discovering the Mississippi" and "The Battle of Gettysburg," which was commissioned by the Commonwealth of Pennsylvania. For the Gettysburg painting, which depicts Pickett's charge on the third day of battle, Rothermel conducted three years of preliminary research and took over a year to complete the painting. Today this painting hangs in the William Penn Memorial Museum in Harrisburg. Rothermel also served as a director of the Pennsylvania Academy of Fine Arts and was active in the Artists' Fund Society. Heralded as America's first sculptor, this Philadelphia native began his career as an apprentice to a ship carver. After his service in Philadelphia's militia during the Revolution, Rush returned to work creating figureheads for ships. His unique "walking style," where the subject steps naturally from the ship's prow, increased his local reputation and won him numerous commissions for portrait busts and large public works. In 1828, Rush created two new statues, Schuylkill Chained and Schuylkill Freed, for the Fairmount Water Works. Replicas can be seen there today. As a long-time member of Philadelphia's City Council and an important figure in the city's art community, Rush helped to found the Pennsylvania Academy of Fine Arts in 1805, where he served as a member of the board until his death in 1833. Russell came from a long line of military officers, including his great-grandfather, Alexander Russell, who served as an officer in the 7th Pennsylvania Regiment during the American Revolution. Russell, Jr. graduated from the University of Pennsylvania in 1887 and became a career Naval Officer as his father had been. He served as Executive Officer of the U.S.S. Arctic during the Spanish-American War and also served as the first captain of the Color Guard for the Pennsylvania Society of Sons of the Revolution from 1897 to 1915. Schmolze's most famous work as a German-American artist is the mural on the domed ceiling of the Philadelphia Academy of Music. Schmolze grew up in Zweibrucken, Germany, where he was known among his classmates for his amusing caricatures of the teachers. Although his father wanted him to be a lawyer, Schmolze was allowed to go to Metz to continue studying art. He soon became involved in the movement for democracy in Germany, and he was jailed in Munich in 1848 for his criticism of King Ludwig. After his release, he left the country to travel around Europe before coming to the United States. He settled in Philadelphia where he exhibited his paintings at the Pennsylvania Academy of Fine Arts from 1854 to 58. Schmolze was known as a "poetic artist" and some of his work included illustrations for his poems. He died at the age of 36 from a combination of tuberculosis and lead poisoning. In 1858, Schultz invented the process of tanning skins with chromium sulfate. This method produces durable leather with a bluish tint, but Schultz's early attempts also created very stiff hides. After considerable experimentation, he created a two-bath process for chrome tanning that produces soft, strong leather. By 1884, Schultz had received a patent for this two-bath process and went into business with Robert H. Foerderer in Philadelphia. Foerderer's self-titled leather manufacturing company became very successful due to Schultz's invention, and the chrome tanning process is still in use today. Scott worked his way up from a clerk at the Pennsylvania Railroad to become the president of several railroads across the country. Having lost his parents at a young age, Scott supported himself through various jobs until he became a station agent for the Pennsylvania Railroad in 1850. Within ten years he had been promoted to vice-president of the company. With Samuel M. Felton (see 85 Felton) Scott assisted in transporting President-elect Lincoln safely to Washington on a secret route through Philadelphia for his inauguration in 1861. With the outbreak of the Civil War, Scott was appointed Assistant Secretary of War in charge of government railroads and transportation lines. He reported to Washington, D.C. with his protégé Andrew Carnegie and began advising the President on transportation of troops and supplies. Although he held the position for less than a year, Scott's work laid the foundation for essential war supply lines. At the same time, the Pennsylvania Railroad was securing ownership of newly built railways connecting Pittsburgh with Chicago, Cincinnati, Baltimore, St. Louis, and Washington, D.C. Scott brought the Southern Railway Security Company and the Union Pacific Railroad under the control of the Pennsylvania Railroad. By the 1870s, he was president of three railway companies: Texas Railway, Pacific Railway, and the Pennsylvania Railroad. His work expanded and strengthened the railroad system across the United States. During archeological excavations of Independence Mall for the construction of the National Constitution Center, the remains of approximately 90 individuals were discovered at the site of the former Second Presbyterian Church. This church and its cemetery were active from 1750 to 1867. In 1868, most of the remains from the cemetery were moved to Laurel Hill and Mount Vernon Cemeteries, as the church sold the site and closed the cemetery. It is believed that the remains discovered during the excavations were overlooked when the cemetery closed. In 2000, these remains were reinterred at The Woodlands. George B. Sharp and his brother William worked as silversmiths in Ireland, creating intricate designs for fine-quality silverware. The two brothers immigrated to America about 1844 and immediately began producing silverware for Philadelphia's wealthy families. In 1852, George Sharp joined Bailey and Co., which manufactured and imported silver and jewelry. After Sharp left the firm in 1860, he returned to creating silverware on his own. Sharp's designs for silver are very rare and desirable today, and many of his pieces are held in museum collections, including the Philadelphia Museum of Art. Renowned for her illustrations of children in magazines and books, Jessie Wilcox Smith only began drawing at the age of twenty. She had trained to become a kindergarten teacher but soon found that she was not suited to the job. One day she happened to attend a cousin's art lesson and discovered both a talent for and an interest in drawing. She left teaching and enrolled at the Pennsylvania Academy of Fine Arts in 1885, where she studied under Thomas Eakins. In 1894, she enrolled in classes at the Drexel Institute taught by illustrator Howard Pyle. With Pyle's help and with the support of fellow aspiring artists, Violet Oakley and Elizabeth Shippen Green, Smith grew to be a prolific contributor to American magazines and books and one of the most popular graphic artists in the United States. Over the length of her career, she created covers for Harper's, Collier's, Good Housekeeping, Ladies Home Journal, and Women's Home Companion. She illustrated over 40 books, including, perhaps most famously, Charles Kingsley's The Water-Babies (1916), the original paintings of which are now held by the Library of Congress. Souder was one of scores of women who volunteered as nurses following the Battle of Gettysburg. Rather than taking her usual summer vacation by the sea with her family, Souder joined her friends and traveled to Gettysburg in July 1863 to care for the thousands of Confederate and Union soldiers injured in the battle. A year after her experiences in the field hospitals, Souder published Leaves from the Battle of Gettysburg, which included letters written to her friends and family in the days following the battle. This book remains an important resource for studying women's experiences of the Civil War. In 1995, the 28th Pennsylvania Association erected a monument to Souder on her grave at The Woodlands. Admiral Stewart is noted for commanding the USS Constitution during the War of 1812. The son of an Irish immigrant shipmaster, he began his seafaring life at the age of twelve as a cabin boy on a merchant ship. During a period of political tension between France and the United States, Stewart was commissioned a lieutenant in the U.S. Navy in March 1798. In 1800 he took command of the schooner Experiment which captured several French vessels and freed many American merchant ships. He commanded the brig Siren during the Barbary Wars in Tripoli Harbor and participated in the destruction of USS Philadelphia after her capture by Tripoli. He returned home from the Mediterranean as a captain in 1806. At the outbreak of the War of 1812 Stewart commanded successively the Argus, Hornet, and Constellation. In 1813 he was sent to Boston to command the USS Constitution, nicknamed "Old Ironsides." He led two successful cruises on the Constitution, capturing the HMS Cyane and the HMS Levant in 1815. The remainder of Stewart's service included command of a squadron in the Pacific and Commandant of the Philadelphia Naval Yard at Federal Street for three terms between 1837 and 1860. In 1859 Congress made him a "Senior Flag Officer," an honor created specifically for Stewart to recognize his service to the country. In 1862 he retired from his post as rear-admiral and returned to his house, also known as "Old Ironsides," in Bordentown, New Jersey. This architect learned his trade from his uncle, a master carpenter, and from John Guilder, the Carpenters' Company member to whom he was apprenticed as a young man. By the 1830s, Stewart began entering his designs into major architectural competitions, including one for Girard College that he lost to Thomas Ustick Walter. His first major commission, Pennsylvania Hall at 6th and Cherry Streets in Philadelphia, was built as a meeting place for abolitionists. This building met an unfortunate end when it was burned to the ground by an anti-abolitionist mob three days after it opened. His design for St. Luke and the Epiphany Church at 13th and Spruce Streets the following year was more fortunate and helped him to expand his architectural practice. A building committee from Richmond, Virginia, particularly admired his design and invited him to build St. Paul's Church in that city. His practice was very successful in Richmond and he received several other public and private commissions, including the Ancient Egyptian Inspired Richmond Medical College of 1844. Following his very productive years in Richmond, Stewart worked as a consultant for the City of Philadelphia and designed an iron bridge to span the Schuylkill River at Chestnut Street. The project was shelved in 1855 due to the consolidation of the city and county the year before, but he published two publications on the design of the bridge. Little is recorded of the last decades of Stewart's life other than that he became a member of the Athenaeum of Philadelphia in 1874. This comic author was best known for his humorous short stories, including "The Lady, or the Tiger?" Although Stockton worked as a wood engraver as a young man, he also pursued his dream of becoming an author. In 1855, his first story, "The Slight Mistake" was published in The American Courier, and he began to focus on writing for Philadelphia newspapers, such as the Philadelphia Press and the Philadelphia Morning Post, as well as children's magazines. Stockton's story of a magical fairy, "Ting-a-ling" published in theRiverside Magazine for Young People in 1867, was his first major success. Following the publication of this short story, Stockton became the assistant editor and chief contributor to the children's section of Hearth and Home. By 1873, he was editing and contributing to St. Nicholas, another well-known children's magazine. Failing eyesight forced him to leave the post of editor, but he continued to publish by dictating his stories for the rest of his life. In 1882 he published his most famous short story "The Lady, or the Tiger?" It became so popular that it was adapted into a play and a film. Stotesbury's career as a major American investment banker began with his employment as a clerk at the large Philadelphia banking house of Drexel & Co. at the age of 17. He moved up rapidly in the company and was made a partner in 1883, also gaining a stake in the New York affiliate Drexel, Morgan & Co. (later called J.P. Morgan & Co). This partnership with J. Pierpoint Morgan led both men to important investments in American railroads and the formation of the United States Steel Corporation. By 1904 Stotesbury had become senior partner of Drexel & Co., making him a leading financier and one of the wealthiest men in Philadelphia. His palatial Chestnut Hill mansion, called Whitemarsh Hall, was designed by Horace Trumbauer and completed in 1921. Under the direction of his wife Eva, Whitemarsh Hall soon became the site of lavish parties for wealthy American businessmen and international dignitaries. Whitemarsh Hall has since been demolished, but a glimpse of this lifestyle can be seen at Stotesbury's townhouse at 19th and Walnut Streets near Rittenhouse Square, which today serves as home to the Philopatrian Literary Institute of Philadelphia. Swain was a journalist who founded the Philadelphia Public Ledger in 1836. This penny newspaper was the first daily to use a pony express to expedite delivery of the news. Swain also formed a partnership with Amos Kendall, Samuel F. B. Morse, and several other businessmen to create the Magnetic Telegraph Company. Morse's electrical telegraph made it possible to quickly send news around the country, and the Public Ledger became one of the first newspapers to disseminate the news through this method. When Swain sold the Ledger and retired, his son, William J. Swain (1839-1903) founded the Philadelphia Public Record. Thomson was a civil engineer who helped transform the Pennsylvania Railroad from a local carrier into one of the nation's most powerful railroads. As a young man, he earned a great reputation as an engineer and manager at the Georgia Railroad. In 1847 he became chief-engineer of the Pennsylvania Railroad Company, where his innovative engineering of the railroad between Philadelphia and Pittsburgh managed to bridge the difficult Allegheny Mountain barrier. By 1852 he was president of the Company. He worked until his death in 1874 to extend the PRR's reach as far west as St. Louis and Chicago, and as far south as the Ohio and Potomac rivers. His will created the John Edgar Thomson Foundation, which provides financial assistance to daughters of railway employees who die in railway service. This foundation currently maintains the Thomson lot, and paid for the removal of an ash tree threatening the monument in June of 2011. In 1850 this charismatic minister accepted the pastorate of the Arch Street Presbyterian Church in Philadelphia. When poet Emily Dickinson made a trip to Philadelphia in 1855, she met Wadsworth and heard him preach. The two formed a life-long friendship that included extensive correspondence. Many scholars consider Wadsworth to be Dickinson's first love. In 1862 Wadsworth moved to San Francisco to found the Calvary Presbyterian Church. After serving there for seven years, he returned to Philadelphia as minister of the Third Reformed Church, which merged with Emmanuel Presbyterian in 1878. Wadsworth continued to exchange letters with Dickinson from Philadelphia until his death in 1882. Welch was a successful circus manager whose menageries and circus troupes traveled around the United States and the world. By 1818, Welch was employed in show business in his home state of New York. By 1828, he had acquired a stake in Purdy, Welch & Company, a menagerie and circus that exhibited rare animals, including an elephant, in many eastern cities during the 1830s. The circus was so successful that it split into two companies, each of which toured the eastern or western United States. Welch continued to manage the eastern circus, which performed in permanent venues, such as the National and Walnut Street Theatres in Philadelphia, the Bowery Amphitheater in New York, and the Lion Theatre in Boston. Traveling tent shows also performed across the eastern seaboard during the summer. In 1838 to 1839, Welch partnered with Jonas Bartlett to transport and exhibit the first live giraffes to be seen in the United States. Although several of the giraffes died during the voyage, one survived and became the highlight of Welch's very popular circus. In 1843, Welch began touring Mediterranean ports with a circus company, while his partner, Alva Mann, toured the West Indies. These tours proved to be very profitable, but the circus business was difficult. When Welch attempted another European tour in the early 1850s, he lost much of his investment. His fortunes never recovered and he spent the remaining years of his life managing small shows in Philadelphia. White was an important manufacturer of dental tools and porcelain teeth whose innovative work shaped the new, professionalized dentistry that grew out of this period. At the age of fourteen White began working for his uncle, the dentist Samuel W. Stockton. Dentistry then was a profession in its infancy, without regularized tools or methods. Individual practitioners created their own makeshift instruments and attempts to manufacture porcelain teeth were largely unsuccessful. White saw this as an opportunity to improve the field and began experimenting with different formulations for porcelain teeth and steel instruments. By 1846, he was manufacturing dental supplies that were vastly superior to anything produced earlier. They quickly became known for their high quality in the United States and in Europe. His S.S. White Dental Manufacturing Company was the largest dental supply company in the world for over 75 years. The manufacturing facility remains on 12th Street north of Locust Street in Center City Philadelphia, and is now converted to apartments. In 1853, White received an honorary degree from the Philadelphia College of Dental Surgery, "as a testimonial of our appreciation of the value of services rendered to the dental profession in the manufacture and improvement of mineral teeth." This inventor and manufacturer made important improvements to cast-iron railcar wheels, which enabled him to establish the most successful car wheel works in the United States. Whitney gained his expertise in metalwork in his father's blacksmith shop. After working in various machine shops, Whitney was placed in charge of building railroad cars for the Mohawk & Hudson Railroad in 1830. It was through this work that Whitney developed his life-long interest in railroads. Although he left this field to work as a canal commissioner for the state of New York in 1839, Whitney continued to experiment with the manufacturing of railroad equipment and was granted a patent for a locomotive steam engine in 1840. At the end of his term as canal commissioner, Whitney entered into a partnership with Matthias Baldwin, a pioneering locomotive builder. The two men set up their factory in Philadelphia, and by 1846, their joint business was so sound that Whitney felt able to resign and pursue his interest in improving cast-iron car wheels. From 1847 to 1848, he obtained three patents for the design and manufacturing of these car wheels and organized the firm of Asa Whitney & Sons in Philadelphia. The Whitney works became the largest cast-iron wheel works in the U.S., thanks to Whitney's patents. Whitney was also interested in railroad track development and in 1860, he was elected president of the Philadelphia & Reading Railroad. He expanded this railroad's reach to the anthracite coal mines in west Pennsylvania, preparing the way to secure all of the coal trade from the Schuylkill region. Brought up in the family business of iron works, Wood was a pioneer of iron and steel production in the United States. In 1816, his father James Wood opened the Iron Works at Valley Forge, where the first cast steel and sheet iron were manufactured in the United States. By 1826 father and son were partners in the Delaware Iron Works near Wilmington. This partnership continued with the Conshohocken Iron Works, which produced 500 tons of sheet iron and steel annually. Wood kept up with the tradition of the family business by bringing his sons, W. Dewees, Thomas, Alan, Jr., and Howard, into the firm of Alan Wood & Company. After Wood's retirement in 1870, the firm went on to build vast steel factories near Philadelphia and Pittsburgh, which later became integral parts of U.S. Steel and Bethlehem Steel. In 1892, after his father's death, Alan Jr., built a grand residence in Villanova overlooking the Schuylkill River and the iron works. Designed by noted Philadelphia architect William L. Price, the residence and its carriage house are today known as the Palace Mission of Peace of Mother and Father Divine. Wood began his work in the diverse fields of botany, physiology, pharmacology, therapy, and neurology at a young age. At 19, he published his first scientific paper, a botanical report to the Philadelphia Academy of Natural Sciences, and at 21, he graduated from the University of Pennsylvania School of Medicine. After serving as an Acting Assistant Surgeon in the Northern Army during the Civil War, Wood returned to Philadelphia to practice medicine and to teach at his alma mater. He was made chair of botany in the Auxiliary Faculty of Medicine and became a Clinical Professor at the School of Medicine in 1875. His Treatise on Therapeutics, first published in 1874, originated the idea of pharmacology as a distinct subject in the teaching of medicine and was adopted by most leading medical schools of the period. In 1889, Thomas Eakins painted his portrait, which is now at the Detroit Institute of Arts.